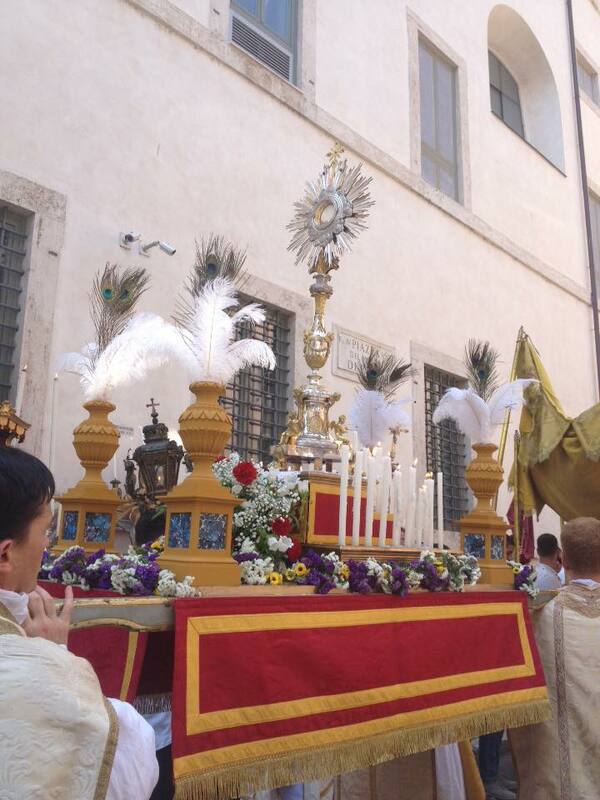 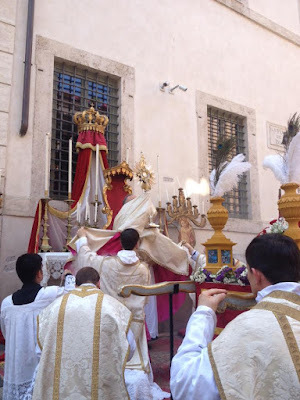 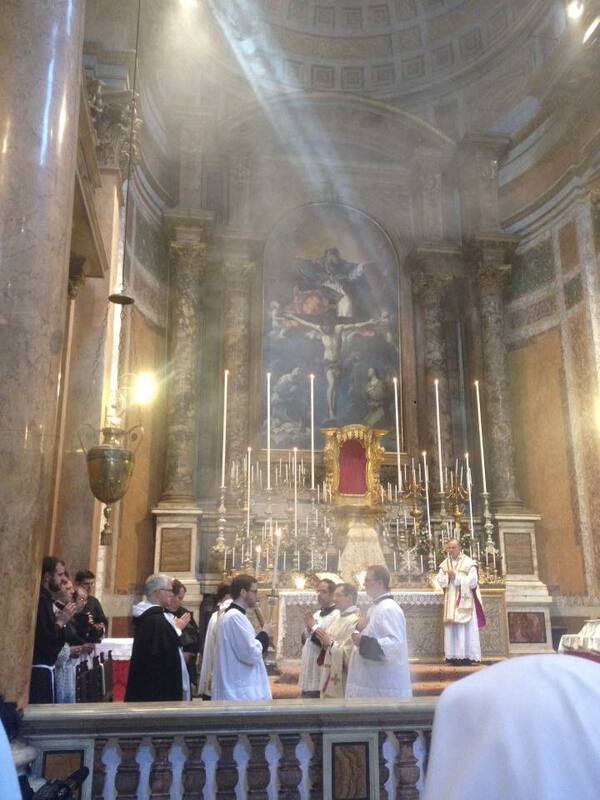 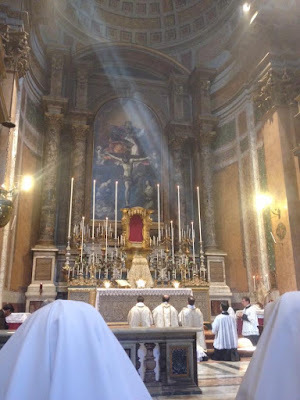 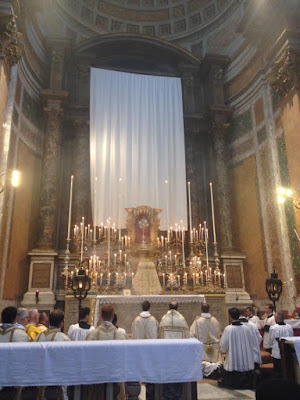 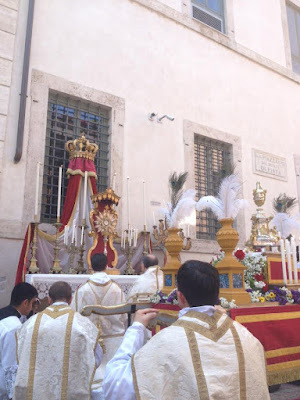 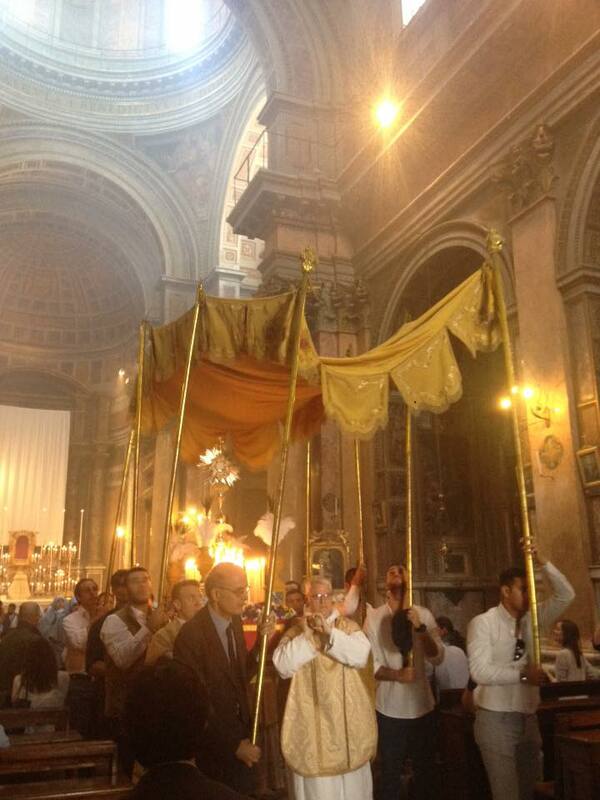 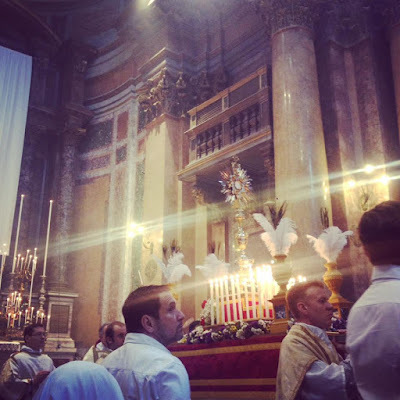 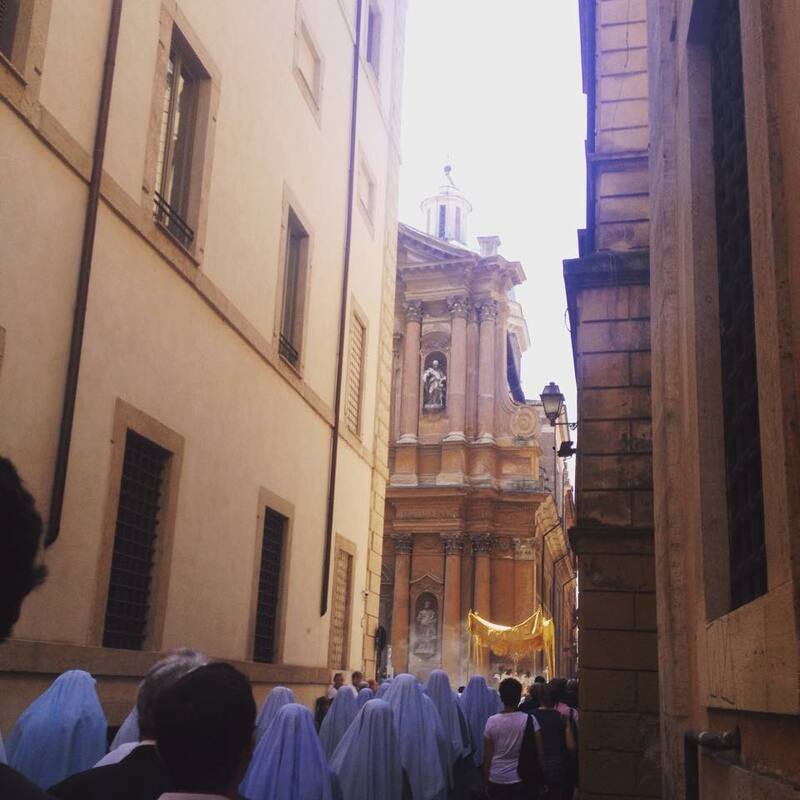 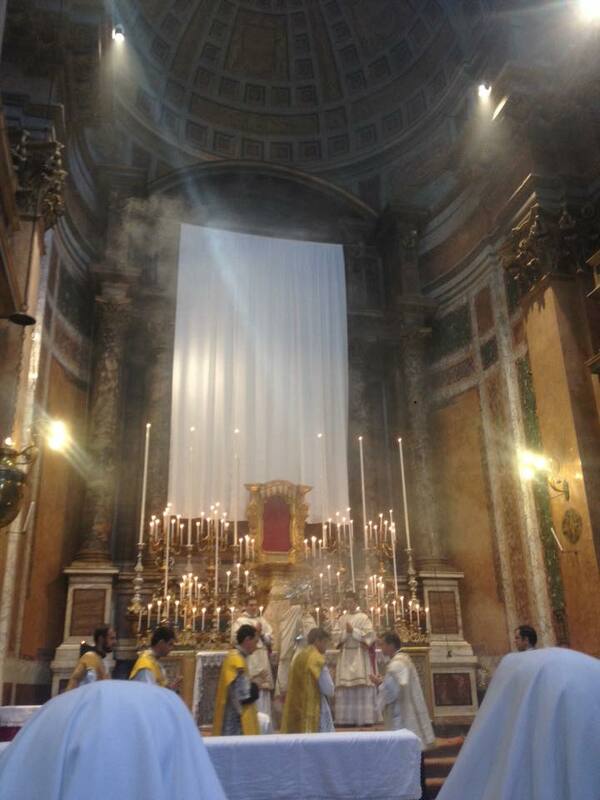 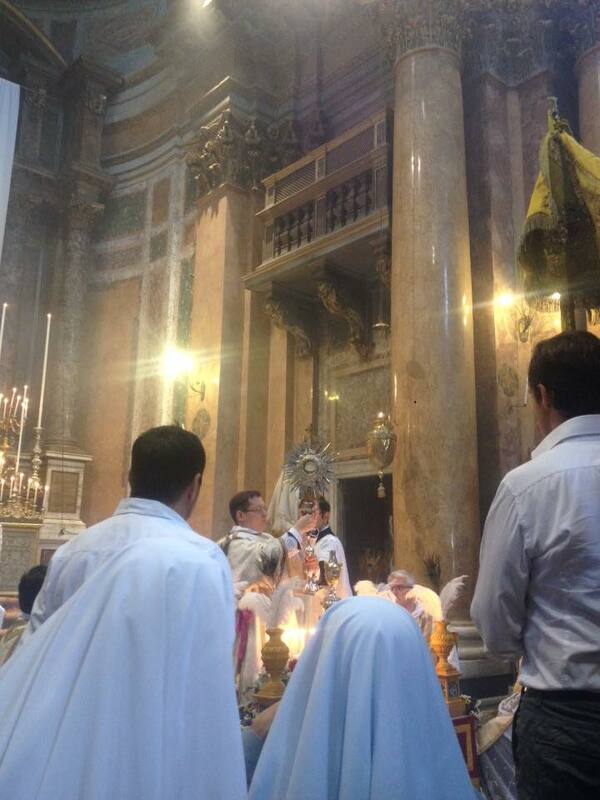 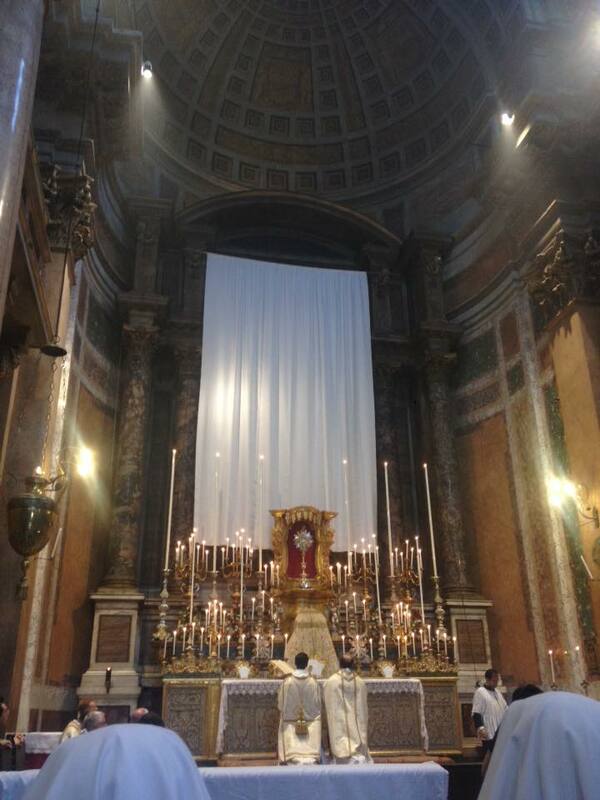 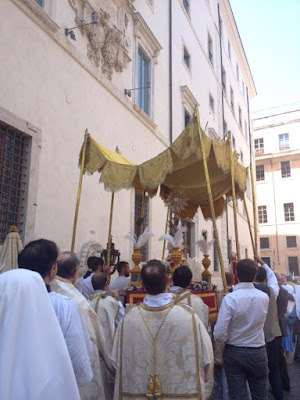 This year’s coverage of the Corpus Christi Mass and procession at the FSSP’s Roman parish comes from our good friend Agnese, who also provides the photographs of the stational processions and Masses in Lent. 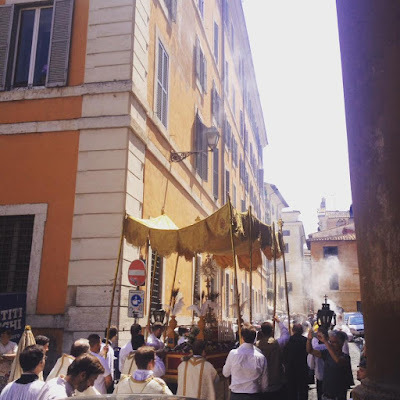 This is the third year in a row that the parish has been able to celebrate the traditional Corpus Christi procession by going out of the church and into the streets nearby, accompanied by a marching band, and of course a large number of the clergy and faithful. 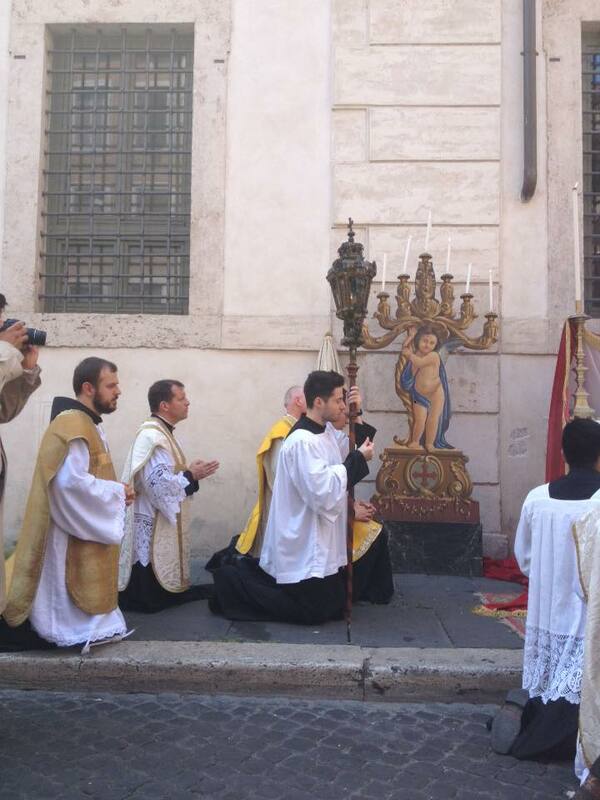 The Blessed Sacrament is carried by priests wearing chasubles on a specially decorated float made for this purpose; Benediction is held at a station half-way through, using a temporary altar set up on the façade of the Monte di Pietà. 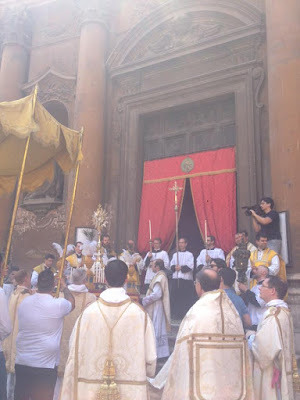 When it returns to the piazza in front of the church, the signal to enter is a large explosion of firecrackers, as you can see in this video from two years ago. 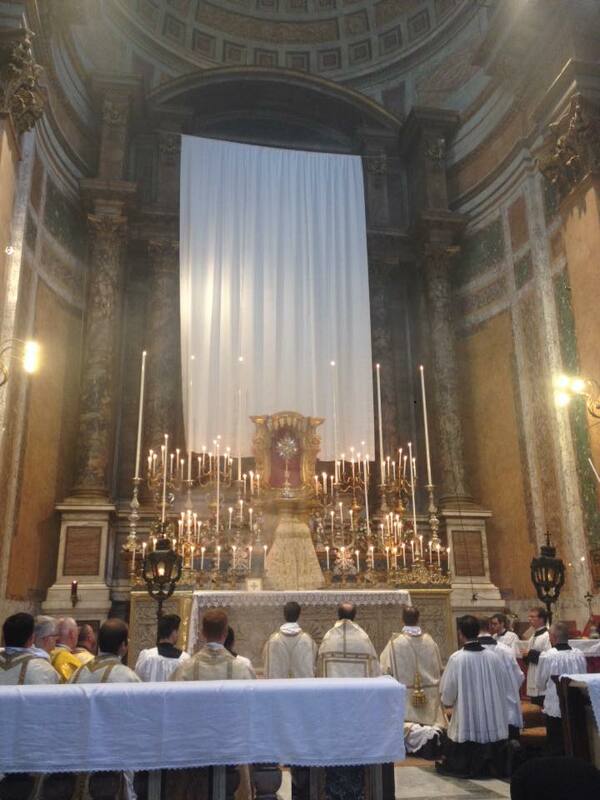 A second Benediction is held in the church itself. The tabernacle of the main altar of Trinità dei Pellegrini is on runners by which it can be pushed backwards away from the mensa, and a large macchina, as the Italians call it, an elaborate throne for Benediction, set in front of it. This year was the first year in which the recently-restored macchina was used on the feast day.